Paint Technology is the discipline in which one studies about the various ingredients – resin, polymers, pigments etc. that are used in making a paint. Paint technology involves understanding the chemistry of the functions of each ingredient going into the paint and the effect on the final property of the paint. In Paint Technology, we study about the different kinds of paints, their manufacturing, the use of various kinds of paints and the techniques used for the application of paints. Those who have graduated in this subject field are known as paint technologists. They are responsible for developing new products as well as enhancing and upgrading the qualities of products which have already been developed. Paint Technologist identifies and evaluates the suitability of various paints for various applications. Paint Technologist explain to the customers about the right usage of paints and identify new markets for the products. Their work also involves developing new colours and textures of paints, new techniques for the application of paints etc. Paint Technologist in collaboration with the paint supplier determines the appropriate paint systems for various surfaces and substrates. Its scope covers all kinds of architectural or house, automotive and aircraft paints as well as industrial high-performance, anti-corrosive and marine coatings. Minimum requirement for a candidate to get admission for B.Tech in Paint Technology is 10+2 or its equivalent with science. You can opt for M.Tech after B.Tech. Paint technology courses are also offered as a subject/ paper in chemical engineering by most institutes. The course covers technology of oils, resins, polymers, pigments and dyes, organic solvents, paint additives, powder coatings, high solids coating, electro – coatings and other paint application techniques. Paint Technologists require a natural love for colors. They should have an experimental bent of mind and must be hard working. Aspirants should have good communication skills and team spirit, since you will be required to work in close association with a host of other professionals in this industry. Managerial skills is also required to lead teams in various departments. 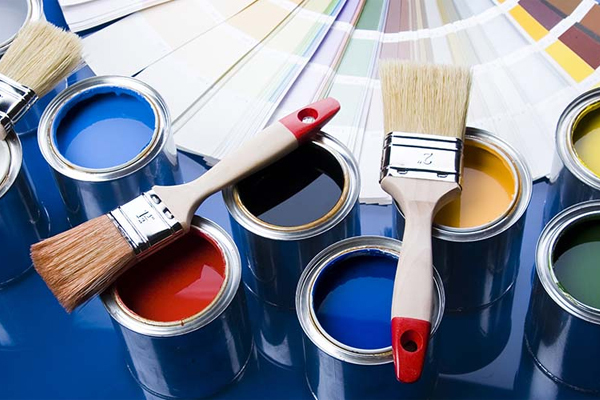 Paint industry is mainly dependent on automobile and real estate industry. Since these sectors are in boom there is some scope for paint technology as a career avenue. A Paint Technologist is required in different departments of the paint industry. They can find work in any of the following departments of paint manufacturing companies: research and development, quality assurance, production, marketing and as technical assistants/ executives who work on clients sites. In research and development, one has to identify, evaluate and develop various technologies, formulate the paints that meet the requirements for the desired end application. Paint technologists employed in production department monitors and improves the efficiency in the process of production. A person working in the paint manufacturing company is responsible for the analysis of raw materials and finished products in the quality assurance department. In technical services and marketing sector paint technologists help in identifying newer markets, promoting products by educating customers, explaining the benefits and right usage. One can find employment in large paint manufacturing companies like Asian Paints India Limited, Shalimar Paints, Berger Paints India Limited, Nerolac Paints Limited, etc. Paint technologists are also employed in automobile industry, home furnishing industries (i.e. manufacture of almirahs, refrigerators etc.). One will also be able to find employment in industries which are into manufacturing of raw materials used in the manufacture of paints, and other allied industries like pigment or extender manufacturers, resin suppliers, polymer suppliers or additive suppliers. Another option available in this field is that of teaching in universities or colleges offering paint technology course. This field is really challenging as one always need to innovate new varieties of paint and competition among brands is severe. Salary in this sector depends on the employer and experience one has in the field. Beginner in this field can expect a salary of Rs. 1,25000/- to Rs. 2,00000/- per annum. Salary is really lucrative if one get placed with reputed brands. After gaining experience one can advance to senior level where salary gets better.